Ollie Schniederjans, who recently graduated from Georgia Tech, finished in a tie for 12th place at The Open Championship with a final round at 9-under par. On top of his great finish, Schniederjans became just the third amateur since 1960 to make the cut for both the U.S. Open and Open at St. Andrews. The other two men were Tiger Woods (1996) and Phil Mickelson (1991). 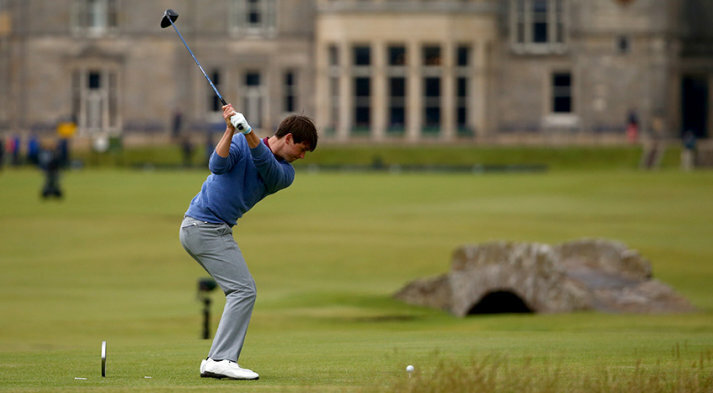 Schniederjans had a tough decision to either remain an amateur or turn pro earlier this year. He elected to remain an amateur so that he could compete in these two Major Championships after winning the Mark H. McCormack Medal, which is given to the world’s top-ranked amateur after the U.S. Amateur and European Amateur. 2015 has been a year to remember for Schniederjans as he was the ACC Player of the Year, All-American and made the cut for two Major Championships and will now be able to start his professional career at the perfect time. Schniederjans will now head to Canada, where he will make his pro debut in the RBC Canadian Open. “My game is in the best place it’s been ever,” Schniederjans said. He will join fellow Georgia Tech graduates, Matt Kuchar, David Duvall, Stewart Cink and Cameron Tringale in the pro ranks moving forward.